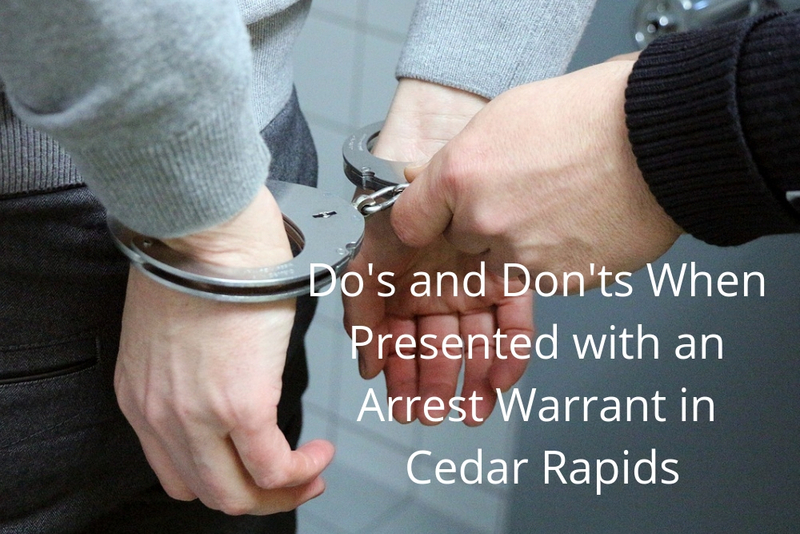 No one would ever want to receive an arrest warrant in Iowa, but what if this happens to you? How should you react? Is there anything you should avoid doing as to aggravate the case filed against you? An arrest warrant is an official document given by a judge. It authorizes the law enforcement agency (police) to arrest someone who has been suspected of committing a crime. This is mostly due to a probable cause seen by the local authorities. Thus, if you have been issued an arrest warrant; it is most likely that the police has some evidence against you. When presented with a warrant, it is best to address the warrant. Not attending to the request of the police for you to have a chat with them will only make you suspicious. However, it is best to have a lawyer with you when discussing anything with the authorities. If you think traveling will be easy with an issued warrant under your name, then you are definitely wrong. Airport security will have your name on file and if they see that you are flying internationally without addressing your warrant, they may consider this as an act of fleeing away from the law. Even if you are a military officer, if you are served with a warrant then all your rights to enter a base will be revoked. So don’t attempt this because soldiers who try to enter their post with an active warrant of arrest may also lead to multiple arrests. Rather, it is best to go to the issuing agency to resolve the warrant. There is a reason why the Miranda Rights is stated before anyone is interrogated by the police officers. If this is not done, then whatever information they get from you may be considered invalid. Thus it is best to remain silent and seek the assistance of your lawyer when faced with this kind of scenario. As needed, Cory Goldensoph is here to help you. He has defended and helped acquit many individuals who have been falsely accused. Talk to him at 319-364-5525 to know how you can further protect your rights. Learn more about him. Click here.